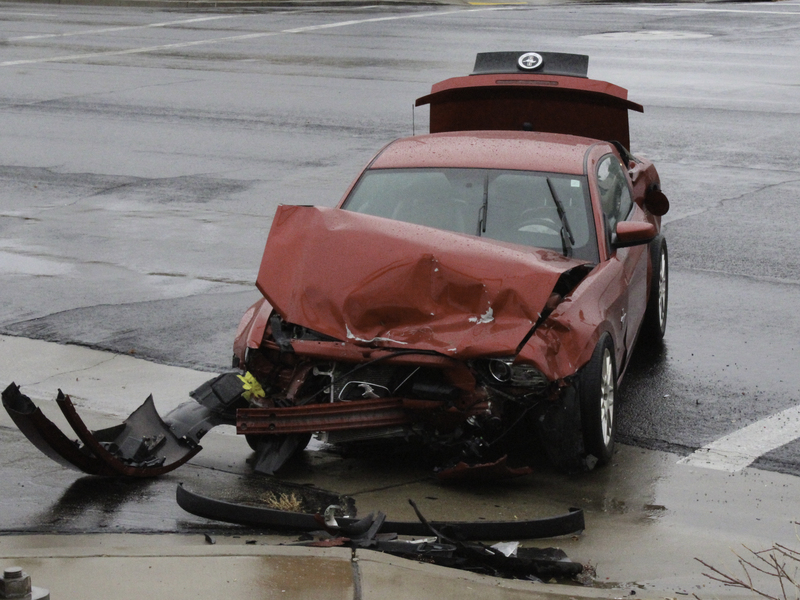 ST. GEORGE — A vehicle failed to yield on a left turn Tuesday afternoon, driving in front of oncoming traffic and triggering a rollover crash in front of SkyWest Airlines, according to police. The incident occurred at around 12:45 p.m. at the intersection of River Road and Medical Center Drive, St. George Police Sgt. Spencer Holmes said. The driver of a white Chevrolet Suburban failed to yield as she turned left in front of oncoming traffic into the SkyWest Airlines parking lot, he said. The male driver of a red Ford Mustang, who was traveling south on River Road, was unable to stop and crashed into the SUV, causing it to roll over onto its side. No injuries were reported. Witnesses stopped to help the driver of the Suburban climb out of the back of her vehicle. “It’s a busy road, so plenty of people were witnessing it and offered to help which is always cool,” Holmes said. When he arrived at the scene, Holmes found a witness pushing on the roof of the Suburban so that it would not roll back over and parked his vehicle against it to relieve her. Traffic in the area was affected for about half an hour. It is unknown if the drivers were wearing seat belts at the time of the accident. The driver of the Suburban received a citation for failure to yield.